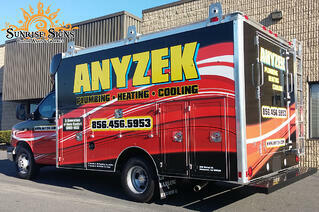 Putting Your Corporate Brand Out There with Signs and Graphics! The right set of graphics draws the eye. It reels in foot traffic and supports name recognition as well as brand awareness. Interior branding inspires employees as well as customers visiting your venue. When you brand with corporate signs and graphics in South Jersey, you have a number of options open to you. Advertising your contracting business – whether you do house painting, electrical work or something else altogether – with a mobile marketing scheme is always a good idea. Vehicle graphics packages, partial, and full wraps are just some examples of the methods we use to turn your car, truck or van into a moving billboard. 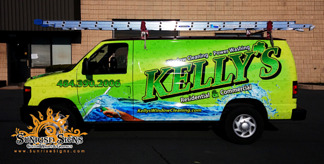 While many contractors already understand the advantages of this medium, we believe that there are 6 things you didn't know about vehicle wraps and graphics. Small Business Advertising Cost Comparison: Vehicle Wraps Win! What is the True Cost of Vehicle Wrap Advertising? If you could get 16 million eyeballs to see your marketing and branding messages each year, would you jump at the opportunity? What if this fantastic return on investment could be yours for only about $3,000? When thinking about your advertising plan this year, have you considered vehicle wraps and graphics? Perhaps you should because vehicle wraps will drive more sales than billboards and we’ll tell you why! Can Fleet Vehicle Wraps Get Your Company on Undercover Boss? 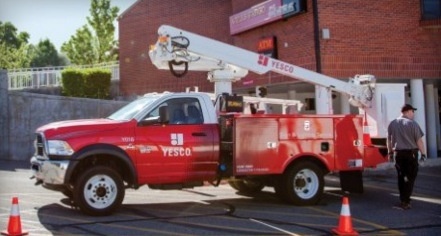 The most recent episode of CBS’s Undercover Boss delved into the inner workings of YESCO, a sign company based out of Utah. We couldn’t help but notice this business, that makes large illuminated signs in areas all over the country, did take advantage of fleet vehicle lettering! Many corporations have onsite training or seminar rooms to educate staff. Some are also used for client presentations. Then there are executive suites that cater to businesses who require space rentals for seminar purposes. Even hotels have rooms for rent just for these types of needs. What’s trendy today is adding wall and window graphics to seminar rooms. Some with a distinct branding purpose and others to welcome, invite and entice. The words “reputation management” is mostly used in the online world. How many online reviews does your business have? Does your website engage visitors? Can you reel in consumer interest by social media posts? Reputation management, however, can also carry over to your physical offices. Business Year-End Checklist Plus Must-Have Corporate Signs! 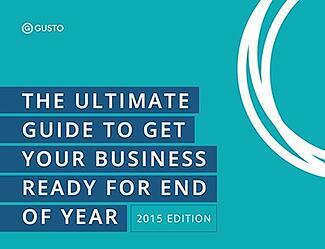 As the year draws to a close have you started your business year-end checklist? 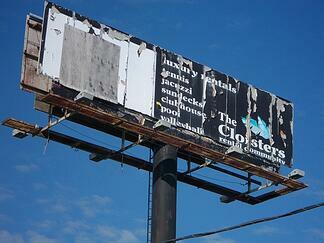 In addition, one of the items on that checklist will be setting a budget for the new year and that includes signage. At Sunrise Signs, we’ve learned trendy signage solutions include corporate signs and graphics that reinforce your brand and corporate culture.